Click here see application examples, installation info, and more. 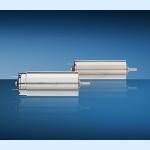 The new 1336 & 1741 DC Motors offer very high power density with dynamic 4- or 8-mNm continuous output torque and an extremely flat gradient of the n/M curve. Both motor variants can optionally be combined with two-channel encoders and precision gearheads, speed control, and motion control. High drive dynamics in compact dimensions, durability, and an appealing price/performance ratio make these motors innovative drive solutions for an extensive range of applications. Click here to learn more from MICROMO. In automotive supplier Lear Corporation's demand-led production, lightweight, easy-to-program robot arms from Universal Robots play a crucial role in assembling car seats. The robots measure and tighten screws on the seats, resulting in shorter throughput time and greater process reliability. Each robot uses a patented technology to measure electrical current in its joints to determine fastening force and movement. Technical designers always try to position pneumatic valves as close to actuators as possible, because shorter tubing lengths reduce the required compressed air up to 20 percent. However, common valves are usually too large and heavy for handling applications. With Rexroth's new generation of extremely compact and lightweight Advanced Valve AV03 valve systems, engineers now have a lot more freedom and can decentralize pneumatic arrangements, thus increasing efficiency. NASA and its industry partners have been working to disprove an aeronautical version of the notion that you can't have your cake and eat it too. The challenge is to figure out how to design an airplane wing so that it can provide high lift during takeoff and landing, yet still be able to cruise at altitude such that the air is moving absolutely smoothly across the wing -- a concept called laminar flow. Design engineers can easily add Wi-Fi connectivity to their products using new Microchip Technology Wi-Fi modules based on Roving Networks technology. These solutions use a simple serial interface to connect with any PIC microcontroller, and expand Microchip's wireless portfolio with the industry's lowest power consumption along with an integrated TCP/IP stack in a certified Wi-Fi solution. 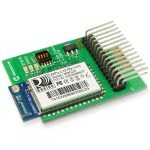 These Wi-Fi modules support all of Microchip's 8-, 16-, and 32-bit PIC microcontrollers. Press fits for injection-molded parts can be challenging. 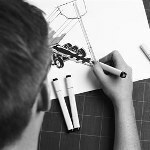 A well-designed injection-molded part will usually have draft, but the same draft that helps eject a part from the mold may also keep a press-fit part from staying firmly engaged. 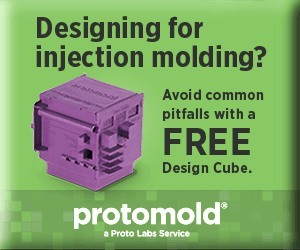 Here are some tips from Protomold for better injection-molded part design. A new product family from Cree called the XLamp XQ LEDs features a unique combination of small size, novel light distribution, long-term lifetimes, and high-reliability design. These ceramic-based lights aim to enable the next generation of designs for applications that require broader light distribution, such as omni-directional lamps and fixtures. 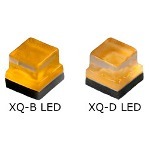 XQ LEDs are Cree's smallest lighting-class LEDs at just 1.6 x 1.6 mm, 57 percent smaller than Cree's XLamp XB package. A new light-emission pattern directs more light toward the edge rather than the center of the package, which allows for the use of fewer packages to achieve a wide, distributed light pattern. The XQ-B LED delivers up 160 lumens-per-watt at 0.18 W, and the XQ-D LED delivers up to 130 lumens-per-watt at 1 W.
The 328-page Electro-Fluidic Systems Handbook from Lee Co. contains a number of new products that can help solve your complex fluid control problems. Detailed information can be found on Lee's high-quality, two- and three-way miniature solenoid valves, latching solenoid valves, high-speed micro-dispense valves, nozzles, fixed- and variable-volume pumps, custom manifold systems, and other inert fluid handling components. 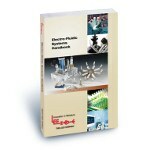 Available as a hard copy or .pdf, the handbook includes product specs, configuration drawings, design considerations, and helpful engineering reference material. The new steel grades Domex 900/960 and Domex 1100 from SSAB represent a new generation of hot-rolled and cold-formed steel. This steel family includes strength levels from 220 up to 1,100 MPa. The new Domex steels from SSAB create completely new conditions for efficient production and higher quality. The weight of the end product can now be reduced at the same time that its strength and durability are significantly increased. Outstanding formability, bendability, and weldability are some of the steel's unique properties, along with tight tolerances and an excellent smooth surface finish. When 3M began the design and development of its new 25-year LED light bulb, there were a number of aluminum components in the design that, in large volumes, would ultimately be too costly to allow for secondary machining and would require net-shape, high-pressure aluminum die casting. 3M's LED Advanced Light has a unique electronics-in-bulb design, sophisticated light-guide technology, and an estimated energy cost of $1.63 per year. Cummins Inc. and Peterbilt Motors Co. recently released test results showing their demonstration "SuperTruck" tractor-trailer achieved a 54 percent increase in fuel economy over standard trucks, averaging nearly 10 mpg under real-world driving conditions. Is it worth the extra $75 for a long-tube vs. a short-tube exhaust header? Elite Application Support Engineer Robert Warren, 3DVision Technologies, uses SolidWorks and some in-depth modeling and calculations to find out. Learn how CFAN, a joint venture between GE Aviation and Snecma in San Marcos, Texas, handcrafts carbon composite fan blades using more than 1,7000 sheets of carbon fiber material per piece for the world's most powerful jet engines. 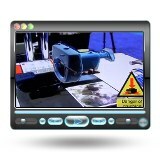 Is this the future of hands-on instruction? Augmented reality has gotten a lot of attention in the world of consumer technology, but it also has enormous potential for maintenance and repair professionals due to recent advances in technology. Using Epson Moverio BT-100 smart glasses, you can see the future of guided instruction overlaid onto real-world tasks and equipment. This short video demonstrates the technology's potential. It's a real eye opener.